Uterine fibroids are very common during a woman’s childbearing years, with as many as three out of four women developing fibroids at some point in their lives. Fibroids are often asymptomatic and are benign and almost never develop into cancer. They form from the smooth muscular tissue of the uterus, and they range from tiny seedlings to bulky masses that can cause the uterus to become enlarged. Fibroids are often removed surgically and, for many women, a power morcellator is used to grind down tissue in order to make it possible to remove the fibroids through a very small incision. Unfortunately, some women who are diagnosed with fibroids actually have an undiagnosed uterine sarcoma within the allegedly-benign growths. When a morcellator is used, it can significantly worsen the patient’s chance of survival if it turns out that she has an undiagnosed uterine sarcoma. Because of these risks, the Food and Drug Administration issued an advisory recently warning against the use of this medical device. Unfortunately, many women already had a procedure using a morcellator and their cancer risk was made much worse as a result. Those who are affected should contact a medical malpractice lawyer for help taking legal action. The FDA published a news release on April 17, 2014 discouraging the use of laparoscopic power morcellation for the removal of uterine fibroids. The use of a power morcellator is just one of several different treatments for uterine fibroids, but the risk of this treatment is great for women who had uterine sarcoma. As many as one out of every 350 women who has a myomectomy or hysterectomy for fibroids actually has uterine sarcoma, and the cancer is not detectable until after the procedure has been performed to remove the tissue. When the power morcellator is used, the tissue may spread throughout the pelvis and throughout the abdomen. 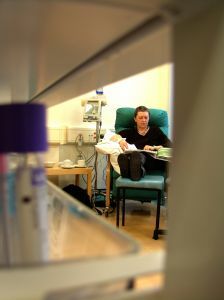 This can cause the cancer to spread and can significantly worsen the long-term likelihood of survival for the patient. A surgical hysterectomy is an alternative option for women with symptomatic uterine fibroids, as is a surgical myomectomy or a laparoscopic hysterectomy or myomectomy. Non-surgical treatment methods are also a possible option as well. None of these other treatments carry the same risk of causing the cancer to spread and worsening the patient’s prognosis. The FDA is convening a public meeting of the Obstetrics and Gynecological Medical Device Panel to discuss the risks associated with morcellator use. Based on current information, however, the FDA discourages the use of morcellation as a fibroid treatment and warns that the risks of the procedure should be discussed with patients. Patients who already had this procedure done did not have the opportunity to weigh the risks and make an informed choice. Cases have already been filed against manufacturers of morcellators, including claims in New York, Pennsylvania and California. Victims who have cancer and who believe that the use of a Morcellator helped to cause the cancer cells to spread should consult with an attorney as soon as possible to learn more about their options for taking legal action.